You might ask yourself what has a datacentre and hosting websites got to do with trying to stop the planet from being poisoned by CO2 Emissions? You might also think, will the hassle (which there isn’t any) of switching to a green hosting provider bring quantifiable benefits to your business? Well believe it or not the IT sector, that’s Datacentres and Hosting Providers, are responsible for 2% of global CO2 Emissions and the more data we produce the higher this number goes. That’s almost the equivalent of all the carbon emissions from the whole of the aviation sector. So every website, apart from those hosted with a zero carbon datacentre like Netcetera, are contributing towards climate change. It’s expected by 2020 that the IT sector will become a bigger contributor to CO2 emissions than aviation which is a scary thought! Netcetera has been in business for over 20 Years and for the last few years we’ve demonstrated our commitment to reducing our own Carbon Footprint and helping businesses like yours do the same through providing modern hosting solutions all powered by green energy. 2017 will see Netcetera hit another milestone when we reach the magical figure of saving over 2 million kilogrammes of CO2 Emissions from the atmosphere. This would equate to the same as taking 392 cars of the road for a full year, or meeting the power demands of an average size house for 154 years! Not only does all of our power come from green hydro electricity, we also use the very latest in energy efficient innovative technology to ensure we do not waste it. Our new hosting hall uses the very latest in Cold Aisle Containment Technology along with an energy efficient Adiabatic Cooling System. Our environmental management commitment has also been recognised by ISO, making Netcetera one of a small number of Hosting providers to have been accredited with with ISO 14001 for Environmental Management Systems. To make going green easier Netcetera has some great offers available to encourage businesses like yours to go green. Each month we have a great money saving offer available on one of our zero carbon hosting solutions. Our current offer is 50% OFF Elastic Sites giving you the opportunity to say goodbye to inefficient hosting powered using traditional fossil fuels and get the best of having your own server combined with all the benefits of Managed Hosting and save 50% Off your first month of hosting. Netcetera’s Elastic Site is a great platform to host your website on, combining the speed and reliability of having your own server with all the additional benefits of a powerful control panel and easy management that you would associate with hosting on a Shared Managed Hosting Platform. Every plan is packed with great features and with prices starting from only £9.99/pm there’s no reason why you can’t go Green and get fantastic reliable hosting at the same time. So how will going green benefit your business? There are several reasons why we have attracted thousands of clients from over 75 countries around the world but we’ve listed some of the key reasons below. Netcetera is one of the world’s most reliable hosting providers, regularly ranked number one by independent monitors Webperf and Netcraft. 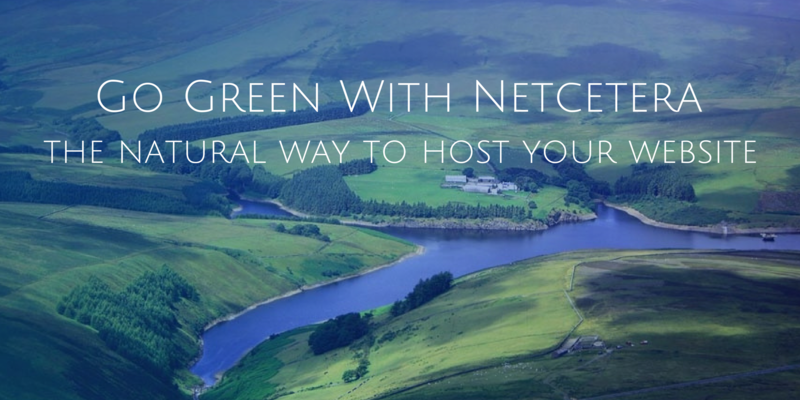 Going green with Netcetera will ensure that you get the security, reliability and speed your website requires and at the same time we’ll save you money and reduce your carbon footprint. Take advantage of this great offer today and save money as well as saving CO2 Emissions. Simply click on the below button and use PROMO CODE ELASTIC50 at the checkout to receive 50% OFF your first month’s hosting.